Mr. Nigel Farage, the still highly popular UKIP leader who has recently admitted he’s returning to politics simply to make sure Brexit happens the way his voters intended it, said he is considering entering the race to be the next Mayor of London in a move could push the Conservatives into third place in the capital. Mr. Sadiq Khan, the Labour Mayor of London, is currently the favorite to secure a second term at City Hall when the capital goes to the polls in 2020 but several prominent Londoners have voiced their concern over the way their city is being handled. For this reason, Mr. Nigel Farage, who US President Donald Trump once stated should be selected as the UK’s ambassador to the US, said the London mayoral election in May 2020 would be an opportunity to “make arguments” on a high-profile platform. Related coverage: <a href="http://thegoldwater.com/news/35534-UK-Khan-Balloon-In-Yellow-Bikini-Ready-Irritated-That-He-Mocked-The-US-President"> UK - Khan Balloon (In Yellow Bikini) Ready - “Irritated That He Mocked The US President”</a>. A senior Conservative official admitted that Downing Street (the UK Prime Minister’s office) was braced for electoral embarrassment should Mr. Farage indeed enter that contest. Although most Londoners voted against Brexit, it is believed that should a three-way race between Mr. Khan, Mr. Farage and a Tory candidate erupt, the Tories would indeed not stand a chance. If Farage does run, he will need a lot of protection like President Trump. The deep state will not stand for him to win. Farage will be definitely be a thorn in their sides like Trump. 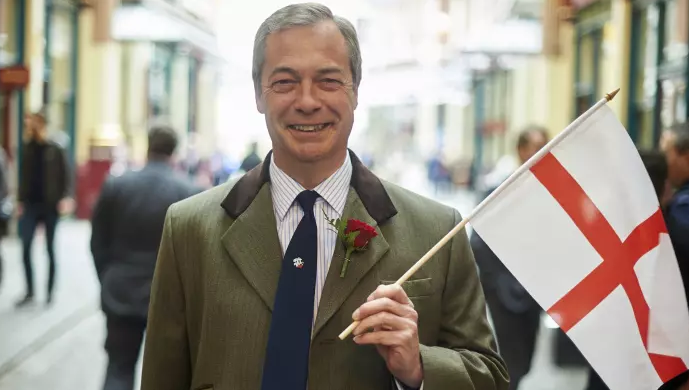 London needs and deserves a hero like Farage. Khan is a con. This could lead up to a run for PM down the track. If they can stop the voter fraud in the tower hamlets…He'd win. The guy is a hypocrite and a con-man. But fuckwits will vote for him.